Check out Tobi's Robbie Mid Rise Plaid Trouser Guilty: we're mad about plaid pants. Reach for the Robbie Mid Rise Plaid Blue Multi Trousers next time you're ready to ditch jeans for the day. 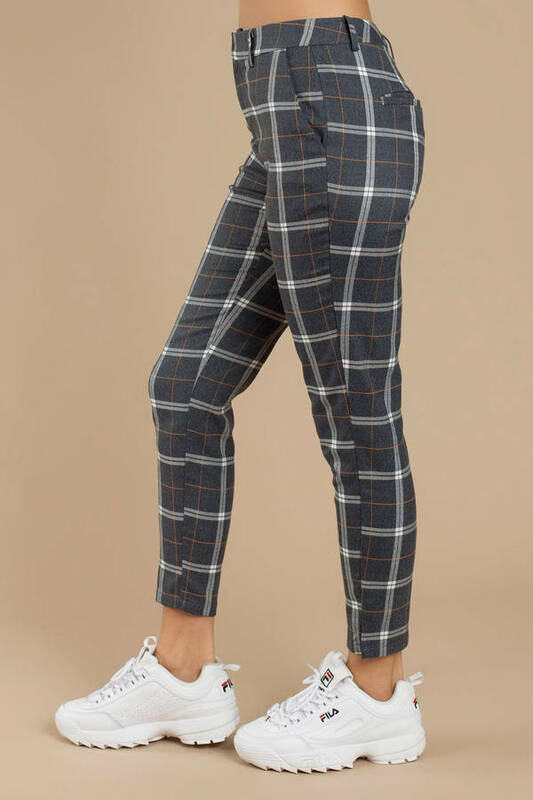 These straight leg pants feature classic plaid, mid rise construction, four pockets, and a cropped fit. Pair these printed cigarette pants with a solid color crop top and you're good to go. Guilty: we're mad about plaid pants. Reach for the Robbie Mid Rise Plaid Blue Multi Trousers next time you're ready to ditch jeans for the day. 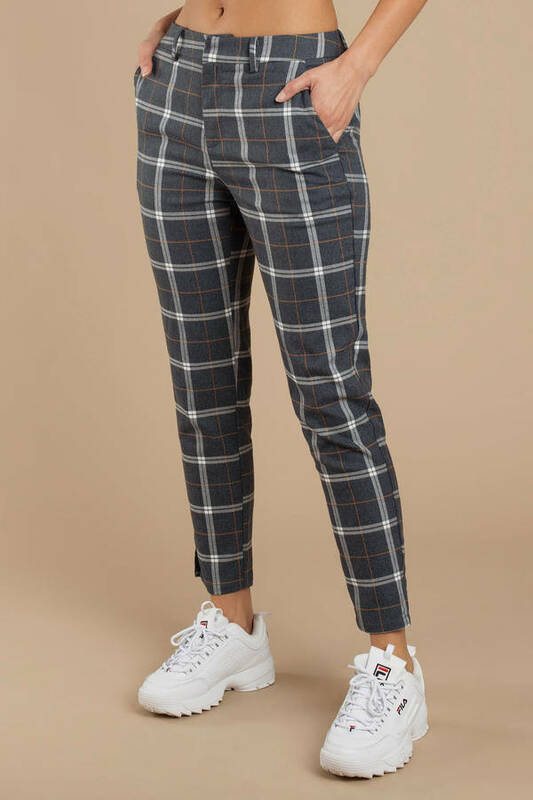 These straight leg pants feature classic plaid, mid rise construction, four pockets, and a cropped fit. Pair these printed cigarette pants with a solid color crop top and you're good to go.